Trevor and team can always be counted on to provide outstanding service. I have used Halton Pools 'n Spas for 22 years and they have always been available to assist in resolving issues on a timely and cost effective manner. They strive to find the best solution at the least cost - never recommending work/repairs that are unnecessary. They are VERY good at providing workaround solutions. I recently sold my home and Halton Pools 'n Spas did an excellent job opening the pool prior to closing and ensuring all equipment was in working condition for the house close - providing peace of mind for both myself and the buyers. Due to a timing of the close on sale and close on purchase, I was not in town immediately prior to the close of my house with the pool -- no problem Halton Pools 'n Spas looked after the pool maintenance in my absence prior to the house close to ensure the pool was in good condition for the new owners and Halton Pools 'n Spas were happy to provide a written letter confirming this thus avoiding any issues on house closing. 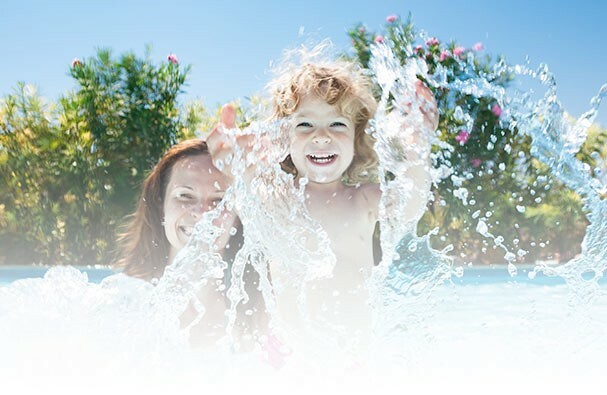 Super people, super service - thanks Halton Pools 'n Spas - if I still lived in the area (and had a pool) I would not hesitate to use your services again! The staff at Halton Pools n' Spas are extremely knowledgeable and the service staff looked out for my best interests. The pool service I received was outstanding and in a timely manner. I would highly recommend them to a family or friend for pool service or equipment installation. Will be back for sure! The process and choice of determining your pool and spa company should end when you meet Trevor at Halton Pools n' Spas. From the time we began to lay out the design in our snowy backyard to the completion of our project, we always felt in competent and professional hands with Trevor and his team. We are extremely happy with our new "cottage at home", and sincerely appreciate the quality of work, guidance, and final outcome provided to us from Halton Pools n' Spas. Look no further, this is the team to choose. Many thanks to the staff at Halton Pools n' Spas and everyone responsible for keeping our pool pristine this and every season! We truly appreciate all the effort and care and tremendous customer service... from the time the pool is opened, maintained all summer and closed in the fall. See you next year! Thank you Halton Pools n' Spas! Trevor and the entire team are great to work with. We've worked closely with them for a few years now; everything from the pool open/close (since 2015), to a salt water system installation (2016), pool refurbishment (new liner, fittings, skimmer, pipes, lighting), new pool heater and Bullfrog hot tub (2017). Great service, great team! ALWAYS support local! Halton Pools n' Spas installed a new pool for us last summer and the experience has been great! The crew was friendly and professional, and a year later the pool continues to be excellent. The only-store staff are consistently friendly and provide quality advice. We frequent the store regularly in the summer to buy our pool supplies and have our pool water tested. The staff is awesome. They are very knowledgeable and helpful. Trevor helped us choose our pool liner last year and did a great job installing it - we absolutely love it!! Thank you to all the staff at Halton Pools n' Spas! Nothing but the best service from Halton Pools n' Spas. Trevor and all the staff are friendly, helpful and knowledgeable. Highly recommend!! Whoever wants to come over and see the end product is more than welcome! I met Trevor after dealing with numerous contractors in the industry. I was so frustrated with these so called contractors that wouldn't return calls or even show up with references. Enter Trevor, from the very first meeting I knew I found the the perfect pool company. Trevor took the time to show and explain everything I needed and most importantly what I didn't. From size of pool, location and equipment, he provided all the information in order to make a confident sound decision. It didn't end there. Trevor took the whole project from start to finish, he coordinated his pool of resources from excavation, paving and landscaping. What a fantastic, seamless transformation. Throughout this whole transaction I dealt with the office staff who were undoubtedly the most patient, experienced and well-mannered representatives of this company. In a nutshell, Trevor under-promised and very much over-delivered. We are ecstatic over our backyard oasis and would recommend Halton Pools n' Spas to anyone looking for a pool.